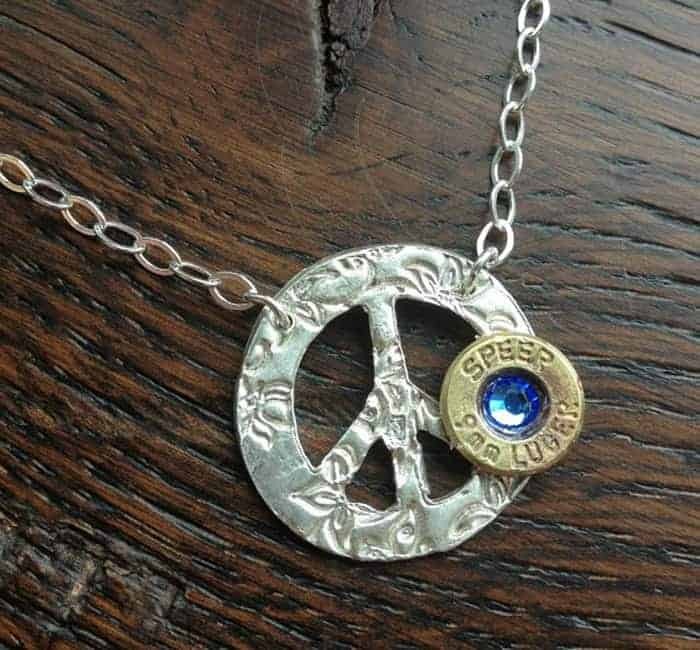 Hand made of PMC fine silver. 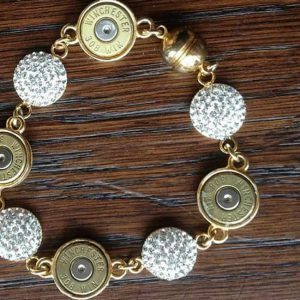 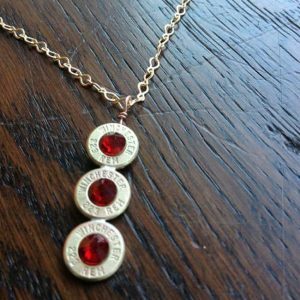 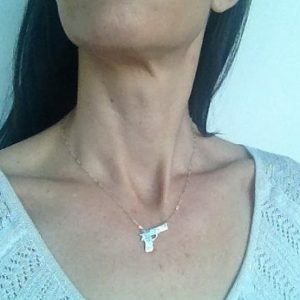 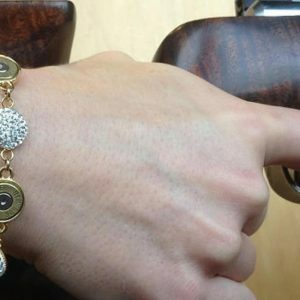 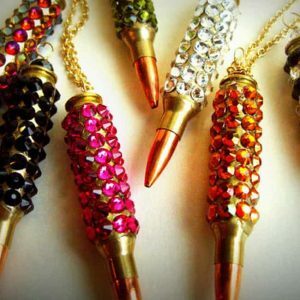 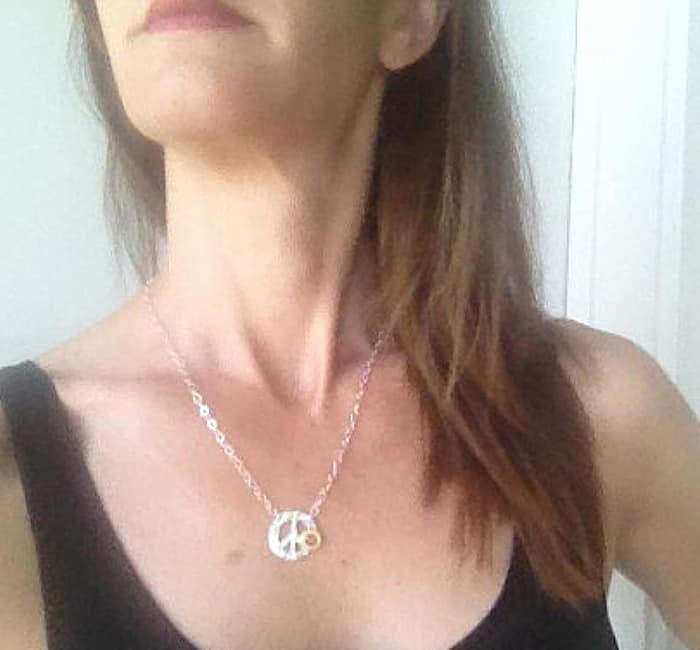 If you are looking for the perfect personalized statement gun jewelry then this is it. 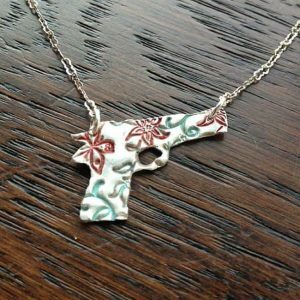 “The Peacemaker” is handmade from PMC, textured with a floral pattern and fired. 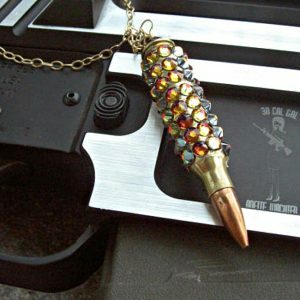 A recycled brass case head is cut and then soldered on to initial. 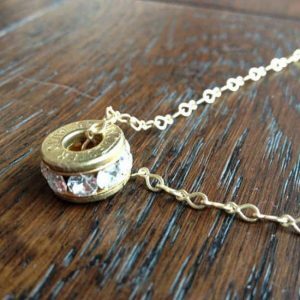 A Swarovski rhinestone is then affixed at center of case. 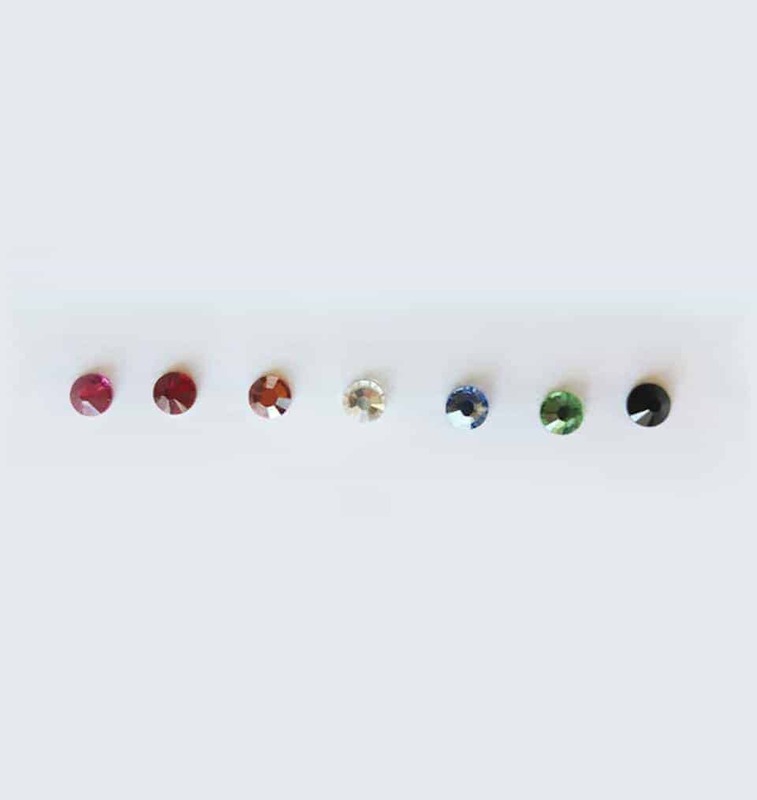 You have a choice of colored Swarovski stones – Pink(Fuchsia), Red(Siam), Copper, Clear, Blue, Green or Black as shown in alternate photo. 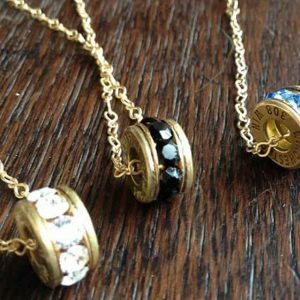 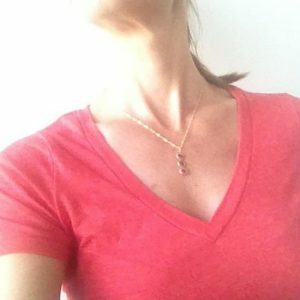 Necklace will arrive in a black padded jewelry box with ribbon.